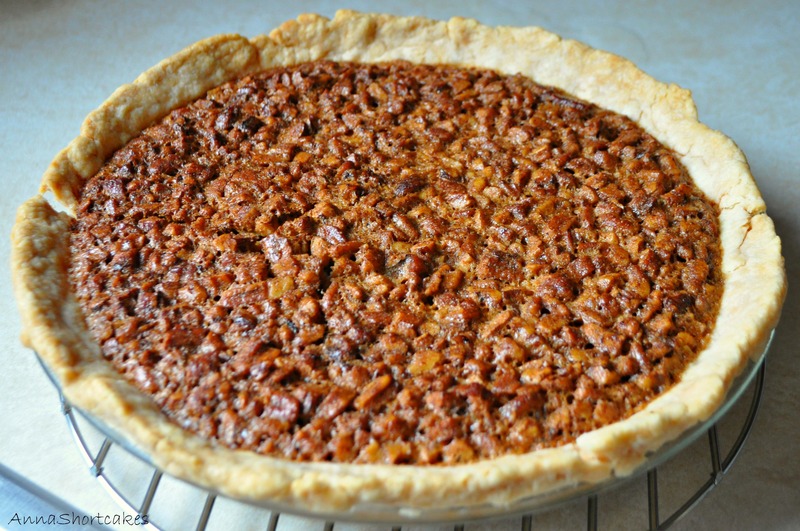 Sometimes pecan pie can be sickly sweet, overwhelming the nutty flavor. This pecan pie is our family favorite. My grandmother has been making it for years from her stained, tattered red gingham Better Homes and Gardens cookbook. You will appreciate the simplicity of the flavors and how easy it is to make. Preheat oven to 350 degrees. Using a mixer, cream together the sugar and butter. Add the syrup and salt, beating well. Beat in the eggs, one at time, until combined. Stir in pecans. Pour the mixture into the pie crust. Bake for 1 hour and 10 minutes, or until a knife inserted into the filling comes out clean. Serves 8 to 10. It is super easy! This recipe is really good! It really isn’t hard. I will show you one day.